Flying to the surfer’s paradise of Siargao is now more convenient than ever. In response to demand for more flights to Siargao, Cebu Pacific Air has implemented an extension for its direct Manila-Siargao sector. The Philippines’ leading carrier will be flying daily between Manila and Siargao six times a week, for as low as ₱2,370 until March 30, 2019. The low fares should also continue to beckon city slickers toward surfing and other exciting watersport activities such as wakeboarding, cozy resorts and stunning natural landscapes at the surfing capital of the Philippines. “With our special direct Manila–Siargao flights, we are positive that more tourists will discover what Siargao has to offer. Cebu Pacific is glad to make it easier for every Juan to visit this dreamy island paradise more often, where surfing and sustainable living are a way of life,” says Alexander Lao, President and CEO of Cebgo. The glorious food scene — featuring fresh fruit and seafood — and warm hospitality of the local community make Siargao utterly irresistible. Nearby islets, including Guyam Island, Daku Island and Naked Island, also offer spectacular nature experiences. 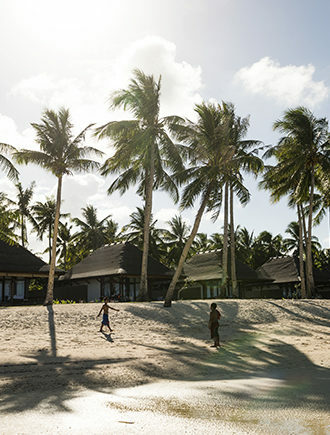 Travelers may discover the different facets of local Siargao culture, while being buoyed by clear waters and greenery. Aside from Manila, Cebu Pacific also flies direct — twice daily — from Cebu to Siargao. With the low year-round fare of P2,104, travelers may also access the island by taking any one of the connecting flights from the airline’s six other hubs — Manila, Clark, Kalibo, Iloilo, Davao and Cagayan de Oro — before going onward to Siargao from Cebu.